Weather vanes story resources is an occasionally recurring series in my blog. 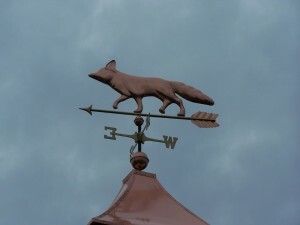 Each weather vane highlights particular subjects with links and anecdotal information to help create a living story from material on the web. Elusive and wily the fox in story and in the wild represents a character of resource and cunning. Eatonton, GA. is home to the Uncle Remus Museum. Housed in former slave quarters the small museum an American folklore treasure. Trip Advisor has news and reviews of the Uncle Remus Museum with photos included. Francis Marion of South Carolina was among the legends and heroes created during the American Revolution. Smithsonian sifts through the resources, legends, lore and fact to get a closer look at our wily patriot.